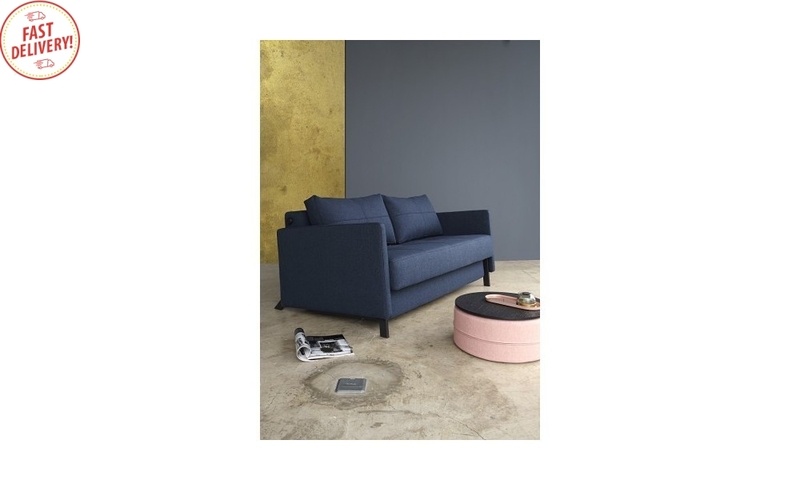 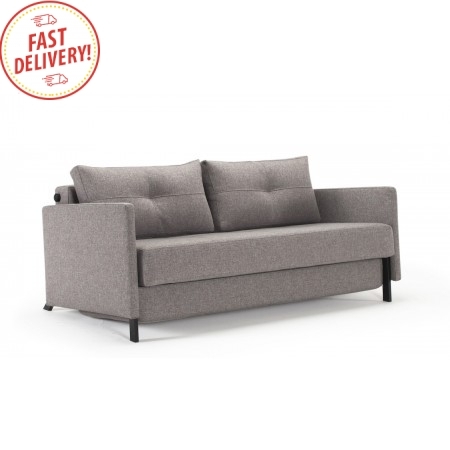 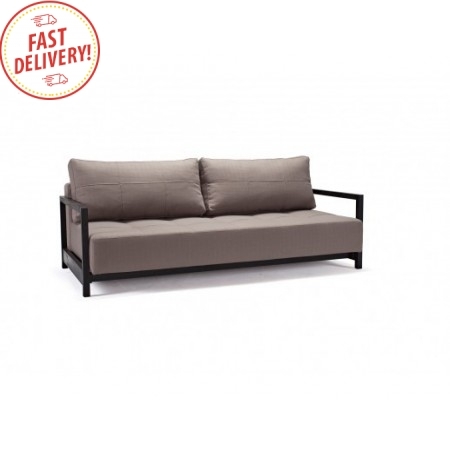 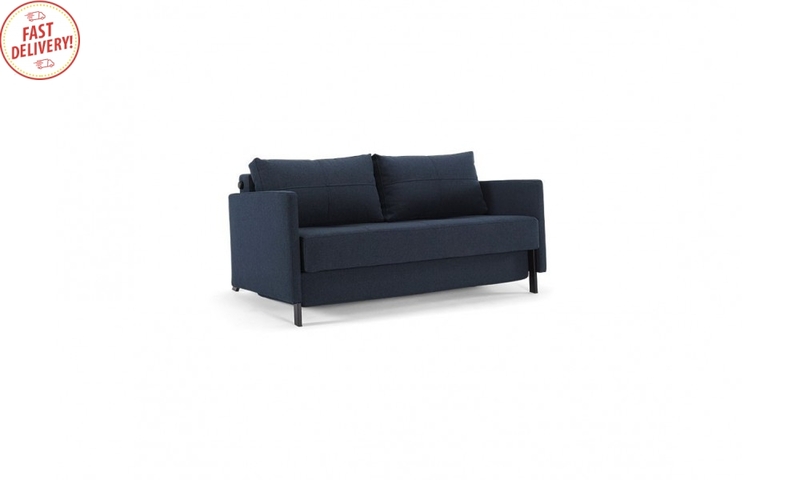 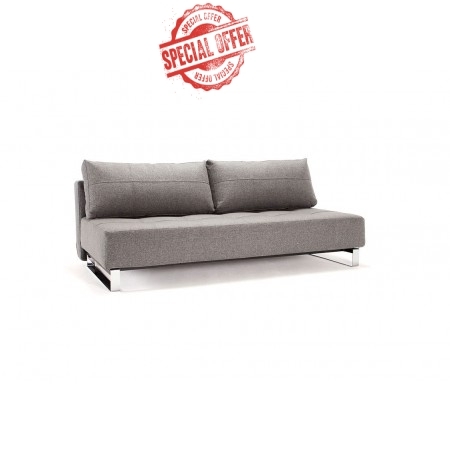 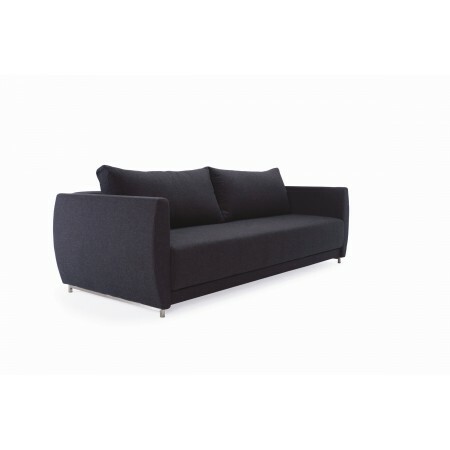 The Cubed 160 model is a three-seater sofa with arms that comes with matte black steel frame and legs in lacquered oak. 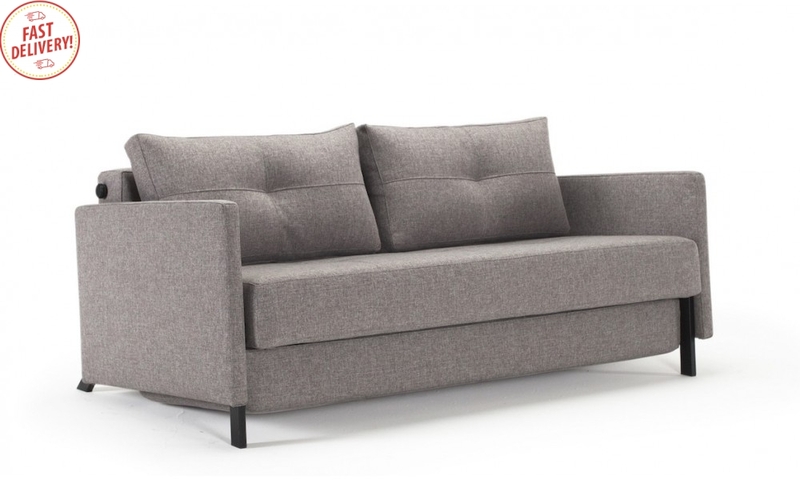 A head rest can be added as an option to give you added relaxation while sitting. 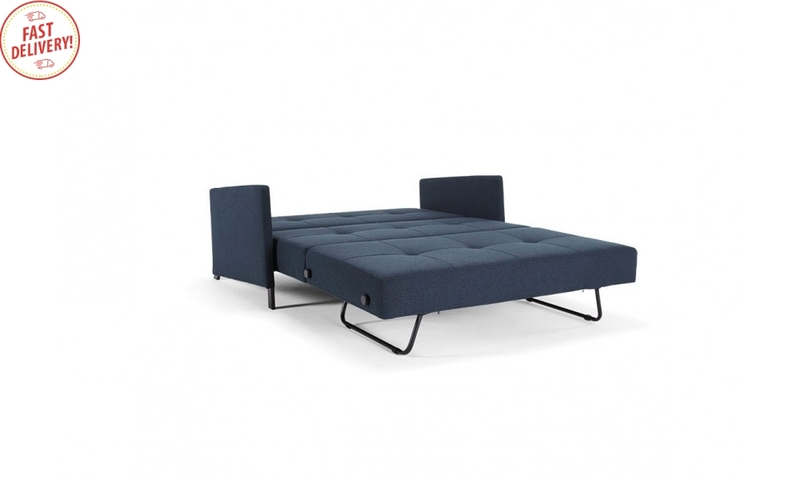 This sofa bed easily turns to a queen bed in a matter of seconds - all it takes is three simple steps. 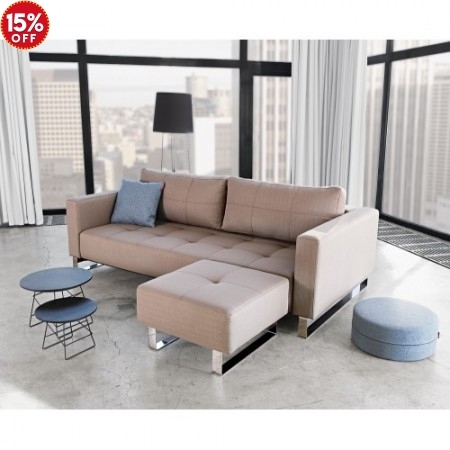 Create a clean, clutter-free room with its built-in storage located underneath the sofa bed. 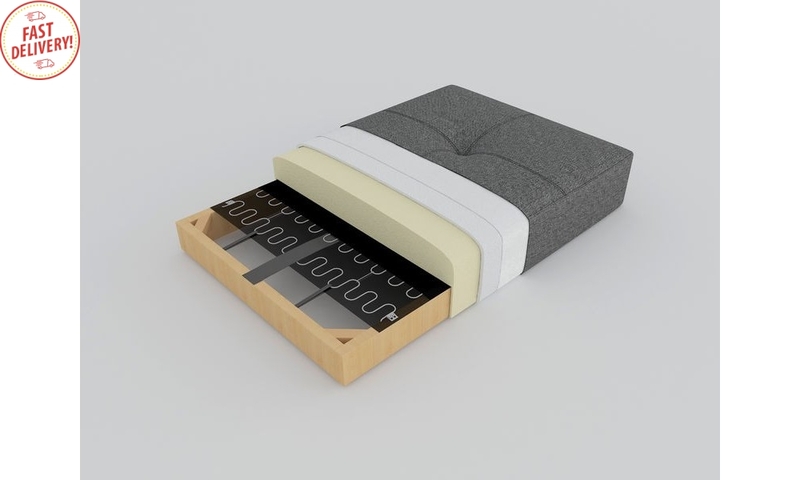 This gives you an added, convenient storage space to place your bedding, blanket and other necessities when not needed. 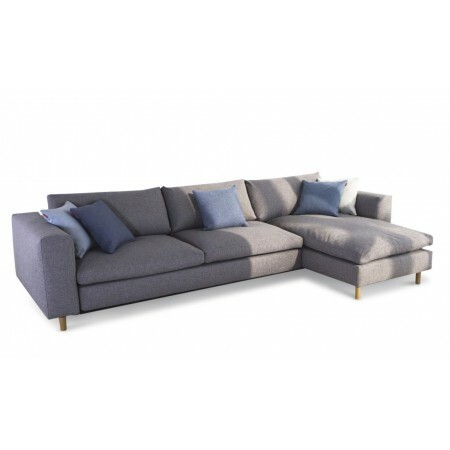 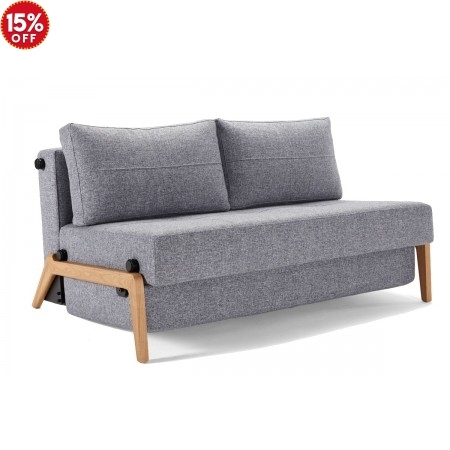 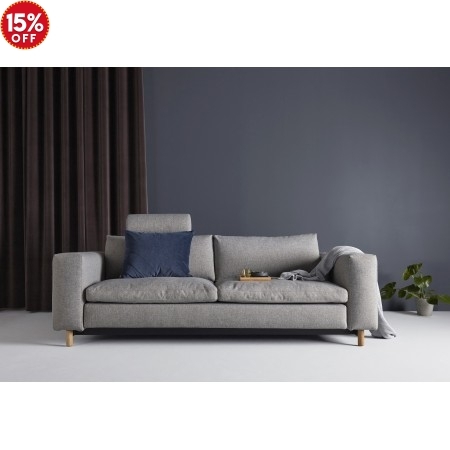 Created by famed Danish designer Per Weiss, this stylish three-seater queen sofa bed with arms is compactly designed to fit any small space. 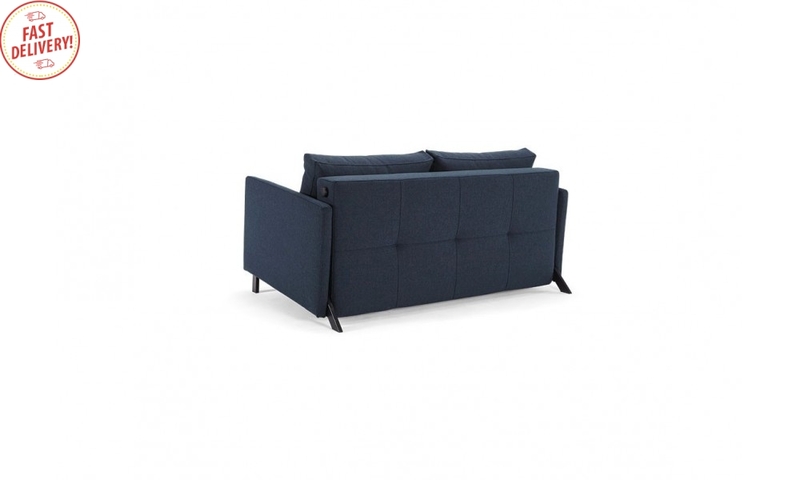 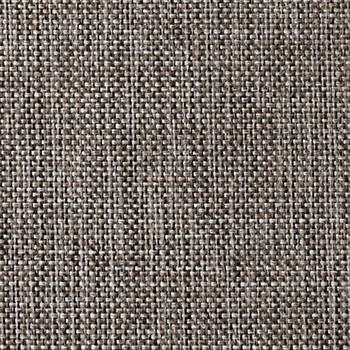 This model is ideal for a studio apartment or for the study / guest room as a spare bed for visitors.